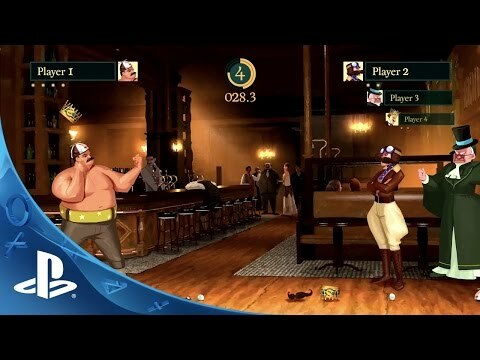 Speakeasy, the new Fisticuffs League game that brings together rock-paper-scissors and fighting games to a competitive local multiplayer that is sure to be a hit at any party! Heavily inspired by Rock-Paper-Scissors, Speakeasy is a local-multiplayer only fighting game that combines rapid action with intense strategy. Set in the bombastic and visually stunning 1920’s Roaring America, Speakeasy will be the center of any party thanks to a simple three-button control scheme that tests the nerves and patience of gamers with all skill levels! 6 Unique Characters Ready to Brawl! 5 Stunning Locations from 1920's America! Unlock unique outfits, props, and game altering effects that add humor and variety to each fight!